It feels as if part of him wanted to remain with the Giants and join the ranks of their all-time greats. The excitement coming out of Cleveland is palpable, with the ne’er-do-well Browns suddenly being transformed into one of the NFL’s most talked-about franchises — and all in a good way, for once. One person who is a bit more muted about things: Odell Beckham Jr., who helped generate so much buzz after last week’s trade from the Giants. In fact, Beckham is on mute — literally — as he tries to figure out just how to feel about one of the most consequential trades in Giants history. If not the most consequential. The post was deleted, and Beckham hasn’t been heard from — at least publicly — since. 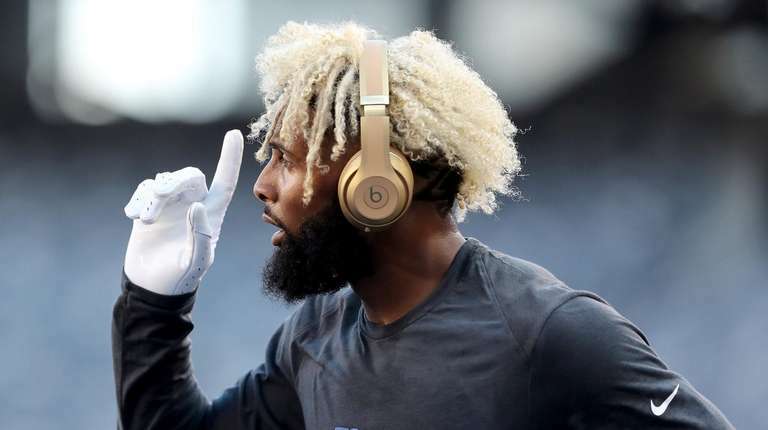 My two cents: For all the controversy Beckham was part of with the Giants — and heaven knows how many times he ran afoul of norms and challenged the allegiances of Giants fans — he is not entirely OK with this trade. He even used the word “bittersweet” in a text to NFL Network’s Kimberly Jones shortly after the trade was agreed to March 12. That does not sound like a man who shares the enthusiasm and expectation Cleveland is feeling right now. Beckham’s ambivalent reaction brought me back to a conversation we had in October, a few days after an interview on ESPN in which he cast doubts about his belief in Eli Manning as a capable quarterback and about whether he enjoyed living in the New York area. His comments drew a harsh rebuke from the Giants’ organization — including coach Pat Shurmur and president and co-owner John Mara. Our conversation was an unusual one — and an uncomfortable one, in the beginning. It came after I asked a follow-up question privately after Beckham’s weekly media session in the locker room. I wanted to know if he was concerned about the fallout from his remarks to ESPN. But a few minutes later, Beckham returned to the locker room and asked if we could speak alone. He explained that he didn’t want to come off as angry at my question, that he’s not in the habit of cutting short interviews. I told him I wasn’t offended. It happens. I happen to believe that athletes ought to be given the benefit of the doubt in their media interactions because they are under unusually intense scrutiny. Give-and-take with reporters about the interview process is healthy, and this was clearly an example, especially because he asked to clear the air. He even laughed when I suggested that he had this slight grin during the group interview, which I took to mean he thought he might be getting off easily about a topic that had generated national attention. He admitted as much. But there were two other things Beckham said during our chat that struck me. One was his acknowledgment that he really wanted to be a leader in every sense of the word — something he eventually shared on the record — and that it was important to him to be looked at as a positive force in the locker room. 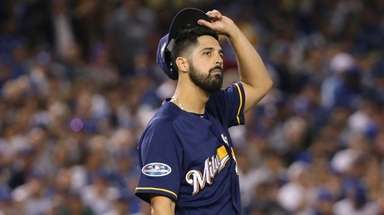 The other was that he was anxious to see the Giants’ rebuilding process through to its eventual conclusion — which he believed would be a championship. I believe it was important to him to be a great player for what he considered a great franchise, to be mentioned in the same breath as all the players who have meant so much to the Giants. Lawrence Taylor. Phil Simms. Harry Carson. Manning. Beckham takes his craft extremely seriously, and while his flamboyance might rub a lot of fans — and even some of his coaches — the wrong way, Beckham is at his core an intensely competitive athlete who wants to win at all costs. That’s why I believe part of him is genuinely disappointed not to be viewed as a part of the solution with the Giants. I’m not sure he would ever publicly admit as much, but I do believe he wanted to see this through with the team that drafted him and catapulted him to fame and fortune, starting with that magnificent three-fingered touchdown catch against the Cowboys on Nov. 23, 2014. Beckham now has the chance to play for an ascending team with a charismatic quarterback in Baker Mayfield and with Beckham’s former LSU teammate and close friend, wide receiver Jarvis Landry. Beckham undoubtedly will be a center of attention for his new team, perhaps even more than he was with the Giants, who went to the playoffs only once during his time here. But no matter how well things turn out in Cleveland, I suspect a part of Beckham will always be a Giant. Which explains his use of “bittersweet” to describe his initial feelings about the trade. And perhaps explains why Beckham needed to go off the grid for a while to figure out his emotions.